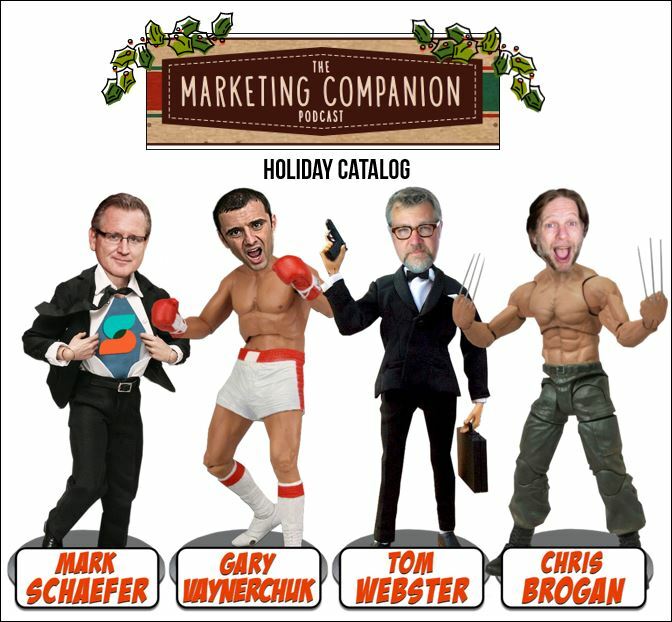 The Marketing Companion : What's next in digital marketing? What's next in digital marketing? New from The Marketing Companion! Your favorite social media personalities as bendable action figures. Just $12.99. Limited quantities available except for the Mark Schaefer edition. We have plenty of those. Facebook -- are businesses going to be in or out? A flight away from Facebook and how it might play out. The commoditization of Big Data and the trickle down to small businesses. And many thanks to our friend Ralph Cipolla for the Awesome Graphic today! Ready to rock? Here we go! Our podcast is also brought to you by Voices Heard Media. Please check out this tremendous resource for scaling social media engagement. Take a look at building an engaged and relevant audience through innovative new game, analytics, and polling platforms.